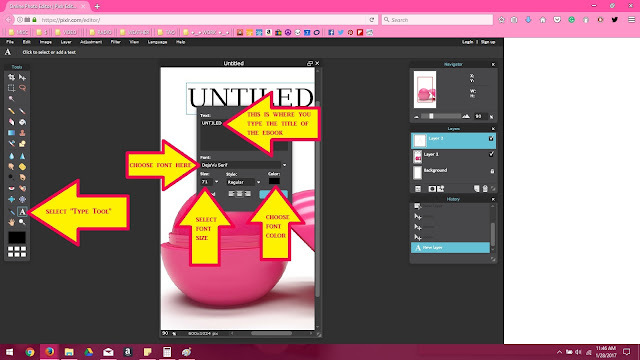 Designing an eBook cover is much easier than you think. With the right tools and know-how, you can design a professional looking Kindle eBook cover very quickly at little to no cost. Why Pay for Something You Can Easily Do Yourself? 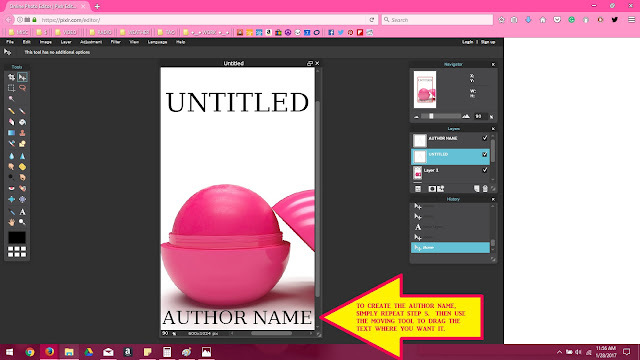 you tips and tricks on how easy it is to create an eBook cover image for Kindle. Whether you are wanting to design eBook covers for books you have written, or are looking to start an eBook cover design business, this information will help you get started on the right foot. While this article is written with Kindle specifically in mind, the simple techniques I am about to share with you can be utilized across most platforms—image dimensions may differ. The key to a professional looking book cover is simplicity. Too much writing or imagery can take away from the overall visual appeal. You want your book cover to stand out, look clean and sharp, since the truth of the matter is, this is how most people judge whether or not they want to read a particular book. First, you'll want to have a good idea of the style of book cover you would like to create. An excellent way to find some inspiration is to run a Google Images Search for the genre your book would fall under. Such as, if I wrote a horror book, I would type in the search bar "horror book covers," or if I wrote a self-help book, I would type in the search bar "self-help book covers." You get the idea. Next, you will need a quality image to work with. Now, this article is on how to make an ebook cover for free, so for this purpose, I suggest using pixabay.com. Their images are free for any use (including commercial use) without the need for attribution. However, I propose that you give credit to pixabay and the photographer in the credits section of your book—it's the classy thing to do. Another thing to keep in mind is if there is a model in the image that is recognizable (where you can see their entire face), you may consider contacting the photographer to get explicit permission from the model to use his or her face on your book cover. If you need to use a face for your cover, it may be more convenient for you to purchase an image rather than wait for permission for a free face image. 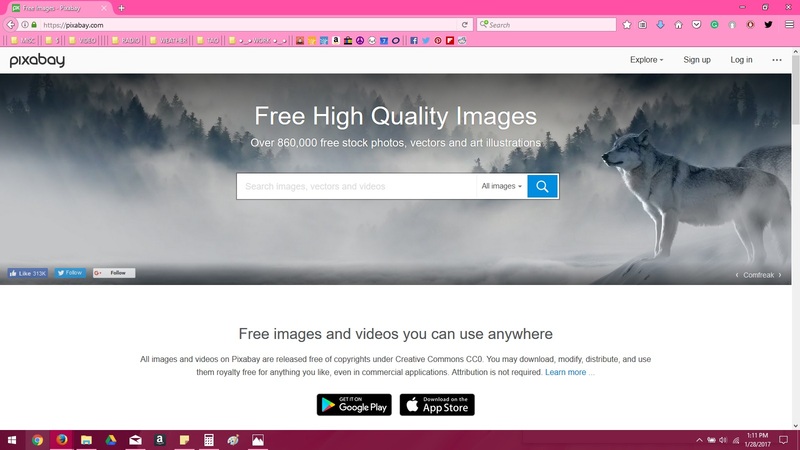 If this seems to be a more desirable route for you to take, you can find many low-cost images on sites like iStock Photo, Shutter Stock, or Getty Images. Finally, you will need some free software to use to create and edit your ebook cover. There are many free options available online. 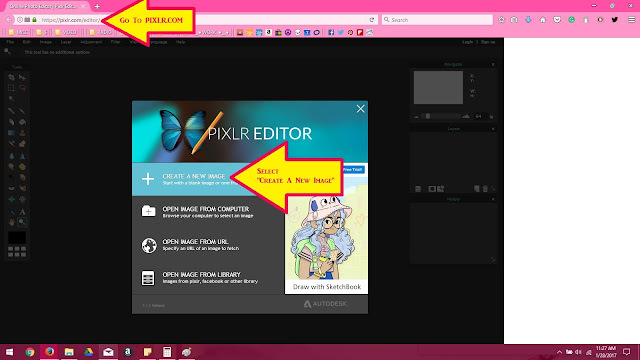 However, the best totally free online software (no sign-up, no download) that you can use directly in your browser is pixlr.com/editor. In this tutorial, you will see in the accompanying images that pixlr is what I used. 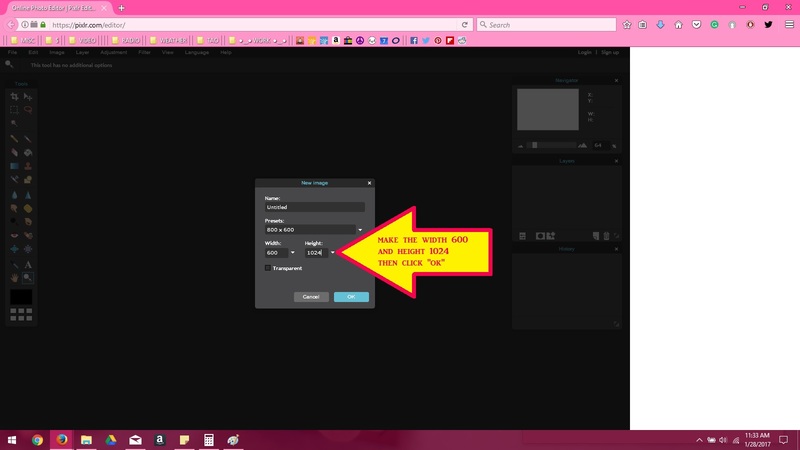 Please keep in mind that this tutorial is a basic "how to." 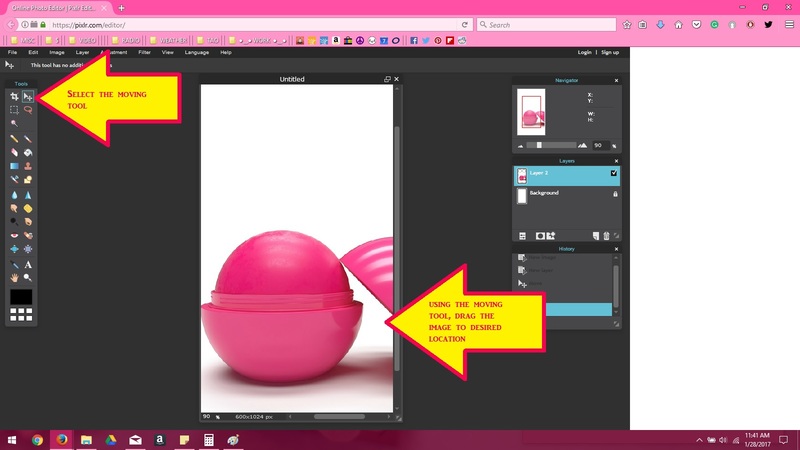 You certainly can get more creative by playing with the many image tools pixlr has to offer. From brightening up the image to distortion and color change. The choices are endless and yours to decide. Open your browser and visit pixlr.com/editor/. Click "Create a new image"
Once you click on "create a new image," a small window will pop up. Here you will customize the exact image size you would like to work with. Since this article is written for Kindle eBook cover creation, the optimal dimensions for Kindle are 600 pixels (width) and 1024 pixels (height). These seem like odd dimensions, but trust me, this is a perfect size. After you enter 600 x 1024, click "OK". Now it's time to fetch your chosen cover image (hopefully you remember where you saved or downloaded to your computer). 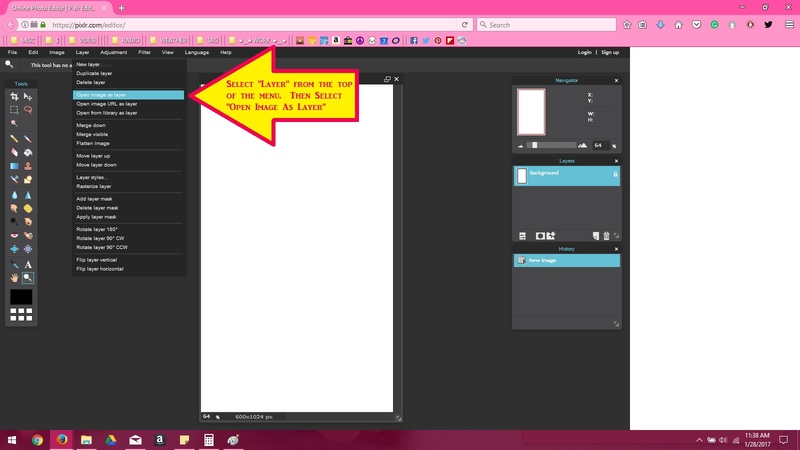 In the menu at the top of the window where you see "file", look for the menu that is titled "layer" and select it. A menu will appear below it, select "open image as layer". A small window will pop up that will show you your computer folders, navigate to the appropriate folder and select your saved image. Click "OK". Using the moving tool from the editing toolbar, located on the left-hand side (click on the image below to see exactly where this is), click and drag your image to the desired location. Now, it is time for your text! First, we will begin with the book's title. From the edit toolbar to the left, select the "type tool" (please refer to the image below if you are unable to find the tools). Once selected, click on the image, when you do this, you will notice that a pop-up window appears. Simply type in your title and select the font, size, and color within this same pop-up window. Once you have customized your title, click "OK". Select the moving tool and move the title text to your desired location. Almost done! Now, we just need to add in the author's name. Simply repeat Step 5 to create the author's name text. Then, using the moving tool, move the text to the desired location. Now that you have your image and text in place, it's time to save! Simply go to "file" and click "save" in the drop-down menu. A pop-up window will appear, select the folder you would like to save your ebook cover in. Congratulations! 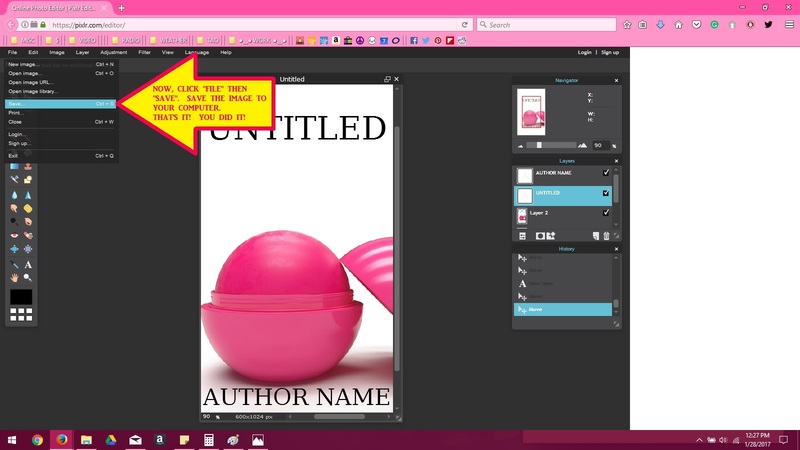 You now know how to create a professional eBook cover, completely FREE! that represents your eBook appropriately. I hope you have found this tutorial helpful and can use this information as a starting point to open up a new creative channel for you.